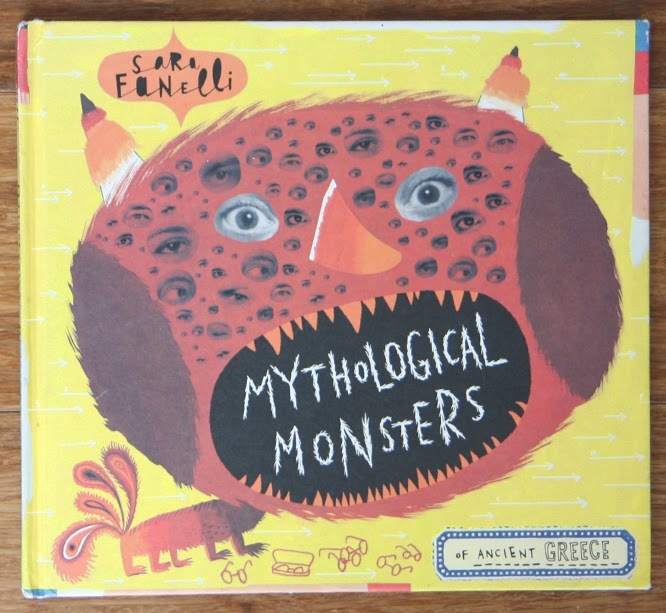 Ooooh, we love Mythological Monsters by Sara Fanelli. I got it second hand on whispers amazon after my friend Nicky told me about it (she is a good book-source person). My Greek myths knowledge is kind of shady... I wish it was better as I feel like Greek myths give you good foundations for looking at art/cultural stuff and pub quizzes, you know, a bit like knowing Latin. I have a few problems reading the names out loud, but so far Coco hasn't noticed... she is intrigued with every page and is getting to the point where she knows which monster is coming next. I love Sara Fanelli's collage style, the words and layout remind me of the very best kind of revision notes, it's the way I like to see information laid out I think. Maybe I could convince Sara Fanelli to make me an encylopedia, that would be good. On the way back from our holiday in France we stayed at a hotel that had a little maze; we went searching for the Minotaur... but of course he wasn't there really. We also learned a bit more about Ariadne (who helped Theseus kill the Minotaur, when we went to a story telling session at the National Gallery in the summer... (get us) and heard the story of the Titian painting of Bacchus and Ariadne (seriously, she helped out Theseus and then he just left her sleeping on an island... the little tyke). Argus, my personal favourite and currently the front runner for Halloween costume inspiration... watch this space. 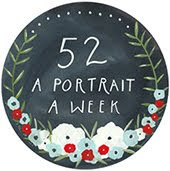 Oh I'll have to keep an eye out for this one, I cant resist a good picture book!